Shipping to multiple addresses? No problem! Please select the recipient for this item here: Select recipient below: Myself Other, add new name in the pop-up box. *We'll ask for shipping address details during checkout. 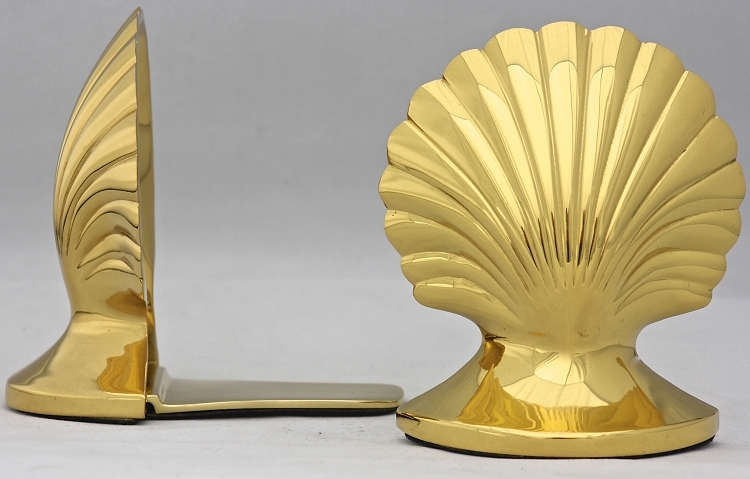 Sold in pairs, these traditional Seashell Bookends in cast brass were a Colonial favorite and are still cherished for their timeless beauty. 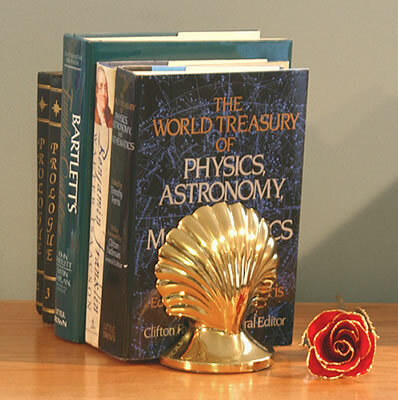 Each bookend measures 5-1/4" high by 4-3/4" wide and weighs 1 pound 11 ounces. The brass is lacquered to keep it shining. The pair weighs 3 pounds 6 ounces. Copyright Brass & Silver Traditions. All Rights Reserved. eCommerce Software by 3dcart.